[TACLOBAN, JAKARTA—CNN, WMO, LTTW] It is very heartbreaking when you hear what’s happening in the city of Tacloban, Philippine, shortly after Typhoon Haiyan slammed across its central region in Friday morning. As reported by CNN, there is no electricity. No food. No water. Houses and buildings leveled. Bodies scattered on the streets. Hospitals overrun with patients. Medical supplies running out. And a soaring number of life losses. The Philippine Red Cross estimates that at least 1,200 people were killed by the storm, but that number could grow as officials make their way to remote areas made nearly inaccessible by Haiyan. Others put the toll much higher: The International Committee of the Red Cross said it’s realistic to estimate that 10,000 people may have died nationally. 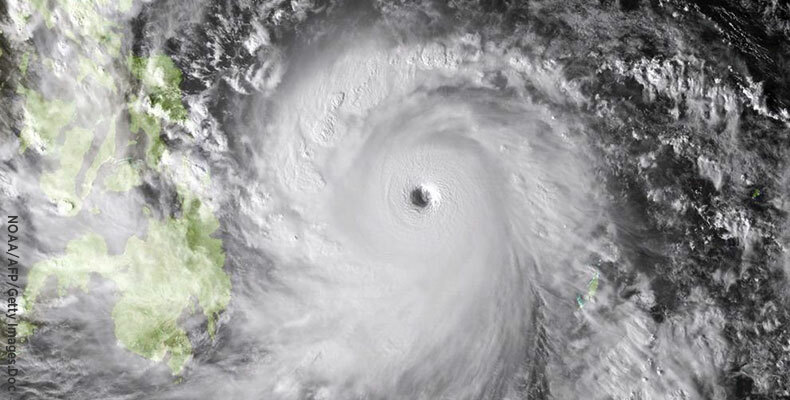 The Philippines typically gets hit by more typhoons than any country on Earth, usually about six or seven each year, and inevitably must bear the accompanying repercussions of who gets what, when, and how much in the post-disaster emergency relief and reconstruction phase. Among other things, the logistics are the most needed now. News travels fast, and we can only see the devastated city of Tacloban through pictures, and from (quite) a safe distance. We should feel very lucky that we weren’t there. However, the Typhoon-like weather was also felt in Philippines’ neighboring countries and cities during the Typhoon Haiyan’s occurrence, as here in Jakarta, Indonesia, that caused another kind of ‘disaster’. Heavy rain and high wind speeds, stronger than usual, struck the dense city of Jakarta on Friday, causing fallen trees and branches in the Capital’s main roads. Consequently, traffic gridlocks came about here and there. Although there were no casualties, but this minor storm has ruined—indiscriminately—almost everyone’s good time, in terms of time and fuel’s losses. Inside the cars, most of us were complaining, some even blame the weather. At the same time, not so far away, thousands of people were struggling to save their lives and others in the wake of Typhoon Haiyan; sadly, most of them couldn’t make it through. It can’t be concluded yet whether Jakarta’s minor storm was directly linked with the Typhoon Haiyan or not, but this should be as a good teachable moment for all of us: when nature calls, we should be prepared. Should we change the way to respond to natural disaster? The number of natural disasters in the world has grown over the past two decades. The destructive potential these events present to our familiar surroundings is what makes some of us fear them and regard them as a form of God’s punishment to man. In contrast, scientists believe that natural disasters are the earth’s sequence of life; a cycle needed for renewing itself. However in some cases, this renewal and change can occur suddenly and violently. When humans and all the things we called “home” get in the way, there can be disastrous consequences. No one can deny that such disasters are increasing in scale and frequency. Our climate is also changing, our weather is more extreme, ice sheets and glaciers are melting and sea levels are rising. While we’re arguing to which climate change or who is responsible for this phenomenon, inevitably, the rapid rise in population and the growing concentration of people in cities, the number of people affected by disasters can also be expected to rise; and this is not good. We all want to live in harmony with nature, comprising its natural hazards. To do so, we should have a better way to perceive, anticipate, cope with, and recover from the destructive impact it may bring. In fact, we have been interacting with natural hazards since the dawn of time. Our ancestors had also manifested well-developed mechanisms which facilitated our response even to extreme natural settings and events; from technology (nature-friendly building constructions and disaster warning system), social life that ensures controlled populations, to forms of expressions (through rituals, and many forms of arts). However, nature works in mysterious ways that we, humans, may not be able to comprehend it until the end of time. We have to make sure that we are not in the path of distancing away from it. Unfortunately, time is not on our side; as this article was written, the Typhoon Haiyan is already heading toward Northern Vietnam. Let’s hope and pray for their safety.